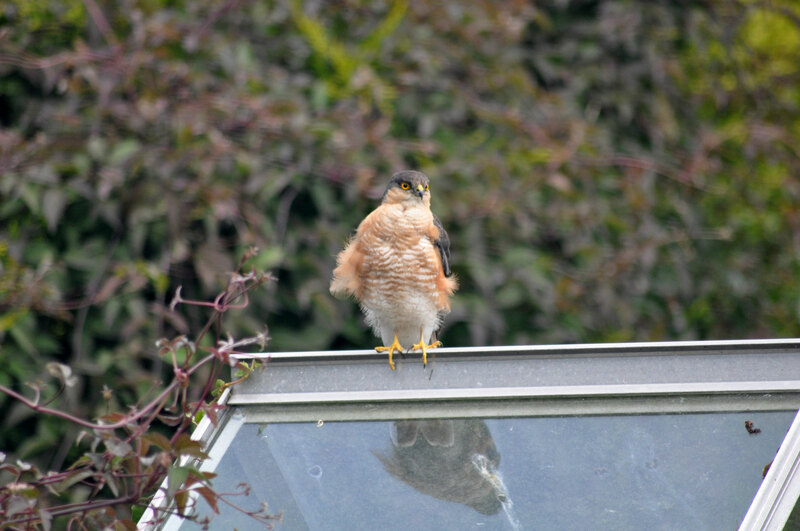 My son spotted this newly fledged Sparrow hawk on my greenhouse this afternoon. 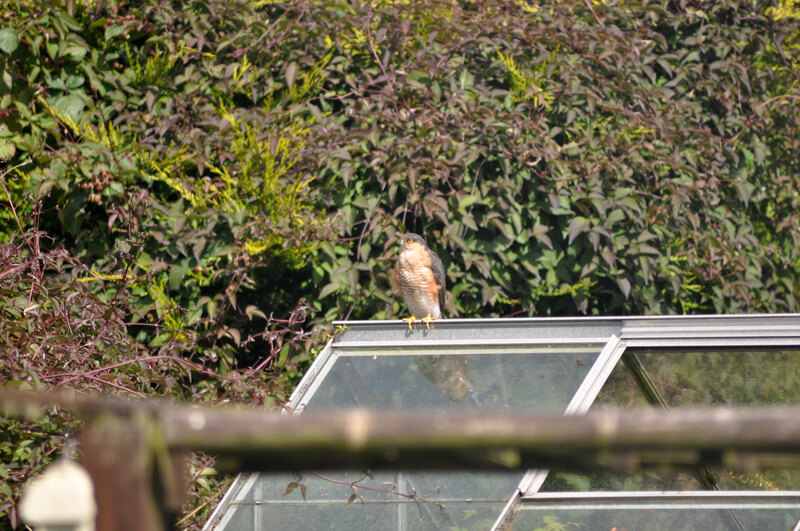 I crept forward to see how close I could get, with my camera in hand of course. 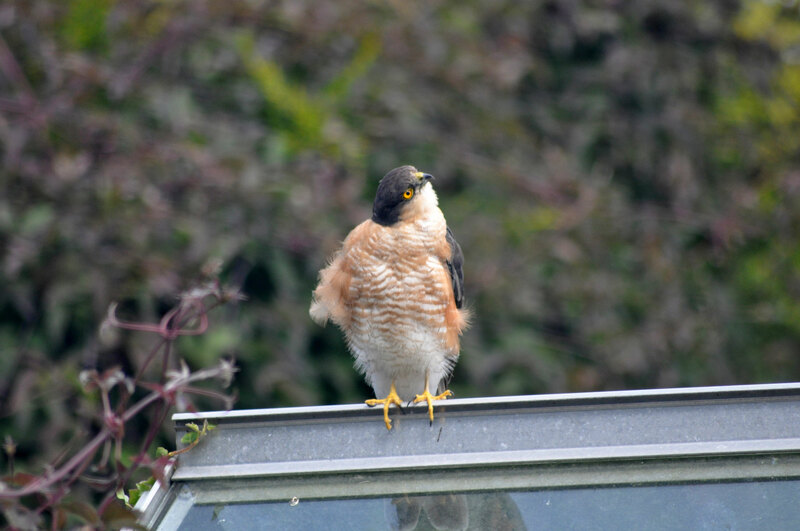 Adult Male Sparrowhawk, not juvenile. 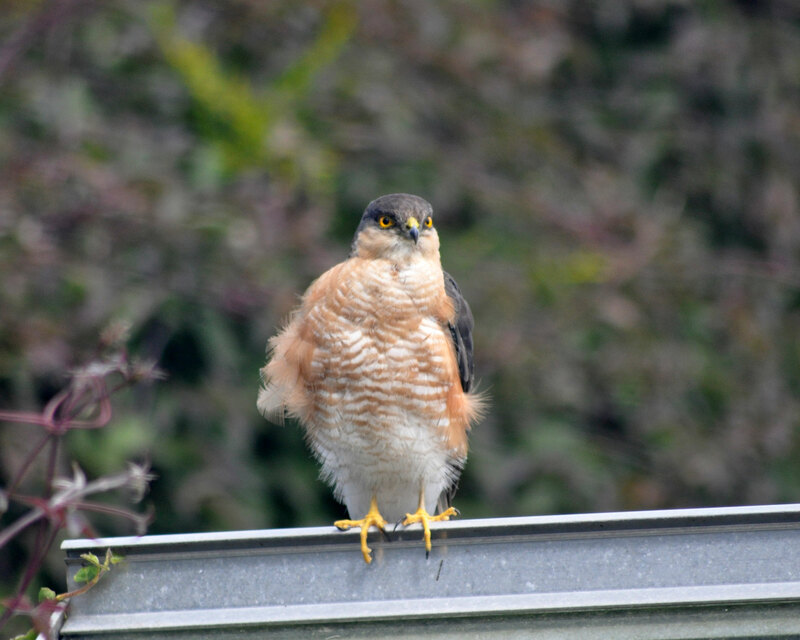 Forgot to add… Great pic, a juvenile looks very much like adult female… Brown etc, not orange/red as in your pic. Cheers Michael, good to know. It was more the fact that it sat there a little dopey looking and let me get close that made me think it was a young one.